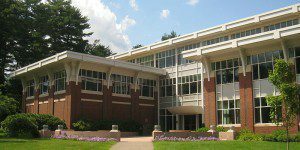 The Babson College Evening MBA at the F.W. Olin Graduate School of Business is offered in both Wellesley and Boston. Students may begin the program in May, September, or January. Classes are held in the evenings from 6:30 p.m. to 9:30 p.m. On average, students complete six to eight credits each semester and enjoy flexibility in terms of how many courses they take and how quickly they finish the program. Most students enrolled complete the program in three years. Fifty-five credits must be completed through the Babson College Evening MBA, a requirement that includes core courses, electives and signature learning experiences. Core courses constitute 28 credits of the degree and are grouped into six clusters. Cluster A consists of the courses: Creating and Leading Effective Organizations, Opportunity and Entrepreneurship, Financial Reporting, and Feasibility Analysis. Cluster B includes the following courses: Managerial Economics, Marketing, Data Models and Decisions, and Socially Responsible Managerial Decision Making. The third cluster includes: Technology and Operations Management, Measuring and Managing Strategic Performance, and the Gazogle SLE. Cluster D has an international focus, while Cluster E maintains an interdisciplinary focus with courses in law, managerial skills and financial management. The final cluster is centered on the capstone project. Students first complete a strategy course in which they begin to brainstorm and develop a business plan to be completed during the capstone course. Evening MBA students complete the remaining 27 credits in the curriculum through elective courses. The most recent Babson College Evening MBA program had 75 students. Students averaged six years of work experience prior to enrolling, GPAs of 3.16, and an average GMAT score of 587. Forty-three percent of the class consisted of women and 5 percent were international students. Twenty-one percent of students identified as a member of a minority group. The average starting salary for Babson Evening MBA grads is $116,747. For 2018-2019, the cost per Evening MBA course credit is $1,768. Given that the program comprises 55 credits, costs total approximately $97,240, though the price of books may vary. A mandated health insurance for students in nine-or-more credits for the fall or spring semester costs $2,534, unless students already have comparable coverage. Applicants should submit their official academic transcripts, a $100 application fee, two letters of reference, a current résumé, GMAT or GRE scores, two essays and, in the case of international candidates whose native language is not English, TOEFL iBT or IELTS test scores. Interviews are conducted by invitation only. The GMAT requirement for Babson Evening MBA candidates may be waived if applicants fit a specific criteria.